"Seagull" brand watches since 1955 has been replica rolex 60 years of history,rolex replica a strong technical foundation for the development of 60 years "Seagull" the manufacture of replica watches uk watches lay, has become a research and development, production, assembly, wristwatch sales of replica watches watches production base. People told us they were involved in decisions about their care and felt their views were listened to. Staff engaged with people at every opportunity and we observed people were comfortable and relaxed around staff. People told us they felt safe. Risks were managed well which meant people were kept safe without their freedom being restricted. The service was effective. Staff were inducted, trained and supported to ensure they had the skills and knowledge to meet people’s needs. We saw staff were available and responsive to people’s needs and care provided was unhurried. Staff we spoke with felt staffing levels were sufficient to provide the care people needed. People we spoke with told us the food was good and said there was lots of choice. We saw staff spent time with people and tailored the care and support to meet people’s individual needs. People were relaxed and smiling and there was humour in many of the conversations they had with staff and each other, which created a warm and happy atmosphere. We saw where people’s behaviour was having a negative impact on others staff intervened promptly and used distraction techniques calmly and sensitively. 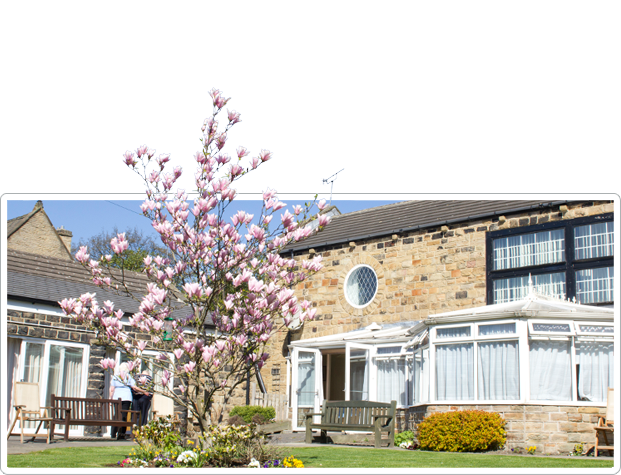 Thomas Owen House in Dewsbury, West Yorkshire, is a specialist nursing care home providing high quality, continuing care for people who have long term mental health problems. The home is a long term care facility which attempts to maximise the quality of life for very vulnerable adults who may suffer from a variety of problems. These include cognitive impairment, brain injury as a result of long term alcohol dependence, Korsakoff's syndrome, trauma or other pathology, personality disorder, bi polar and bi polar affective disorder, schizophrenic type illness and depression. We normally work with people who have had failed placements elsewhere because their behaviour has been challenging. The following brief case histories give an idea of the type of person we work with. E has had a troubled life. Prolific self harm and parasuicidal actions have meant that most other nursing homes see E as too much of a risk. At Thomas Owen House we work with E to enable him to manage when the negative thoughts and feelings are too much to bear. Targeted CBT and brief solution focused therapies mean E hasn’t tried to hurt himself in several years, and we continue to work with him on understanding how his feelings influence his actions. E previously had much of the control taken away from his life as it was considered ‘too risky’ for him to make decisions. Thomas Owen House has supported E to take the control back, and to choose positive ways of coping rather than negative ones. Too often told his behaviours were ‘attention seeking’, E now has a validation of his feelings and a supportive atmosphere where he can work through them safely. C had a demanding job, working long hours. Using alcohol to excess, she developed Korsakoffs syndrome early in life. Unable to understand why she couldn’t live her life as she used to, C became aggressive. Placement after placement tried to restrict C’s life choices, and of course they were unable to manage her aggression. At Thomas Owen House we see C as a person to be supported with the limited choices she can make. We know her ‘risk history’ but can see past this, and C is supported to have as much say in her day to day life as she can. Staff treat C as a person, and like all people she can have good and bad days. Building on the good days and being able to manage the bad ones in a non judgemental way mean C has the best quality of life she can. T was a lively, fun loving family lady, but dementia struck her quite early in life. Admitted to an acute psychiatric hospital ward, T was confused and scared. Unable to tell people when she wanted to go to the toilet, she didn’t understand why 4 people kept trying to take off her clothes, and this made her angry, so she would hit out at them. Trying to ‘escape’ from a confusing place, people made her take medication that she didn’t want. Within days of living at Thomas Owen House, staff could understand the clues T would show when she needed the toilet, and the skill and compassion they showed changed her back from a confused and scared person to a happy lady who could again enjoy her life. T now uses the toilet independantly, and works with, rather than against, the people who provide care. B is a young lady who has been through a huge amount of care placements, all of which have broken down. Helping B manage her medication is just the first step in B living a life where the incredibly distressing hallucinations she experiences are accepted as part of her lived experience. Violent episodes, including a firearms offence, at previous placements are in the past, and B has emerged as a gentle, well mannered young lady who responds to the non judgemental, supportive environment Thomas Owen House provides. B enjoys her life to the full, and knows that when her day is bad, there is someone who will listen to her and help her through it without prejudice. At the Care Home, we are incredibly proud of our locally sourced ingredients.